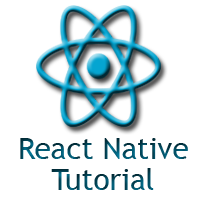 React Native Tutorial provides basic and advanced concepts of Discrete mathematics. Our React Native Tutorial is designed for beginners and professionals both. Our React Native tutorial includes all the topics which help to learn TypeScript. These are React Native Introduction, Environment Setup, First App Hello World, State, Flexbox, Height and Width, TextInput etc. We have developed this React Native tutorial for beginners and professionals both. We assure you that you will not find any problem in our React Native tutorial. But, if you find any mistake, you can post it in our comment section.